The Czech state security known as the StB Státní bezpečnost (Czech)/ Štátna bezpečnosť (Slovak) was active between 1945 and 1990. The sole aim of this force was to deal with any issues that could be considered anti-communist; this usually meant arresting, torturing and even executing any citizens that spoke up against or protested the communist regime. The StB were used as an instrument by the communist party to show their power, they intimidated, spied and even forged false allegations and evidence against anti-communists. Their aim was to keep any talk against the party and therefore chance of uprising at a minimum. One of the many visible actions they took against the Czechoslovakian people was by trying to destroy or erase any signs of their revolutionary actions against the regime. One of these was the self-immolation and suicide of Jan Palach in 1973, the StB tried to destroy any memory of his action by trying to stop the demonstrations that occurred at his funeral as well as exhuming his body after burial and cremating it. 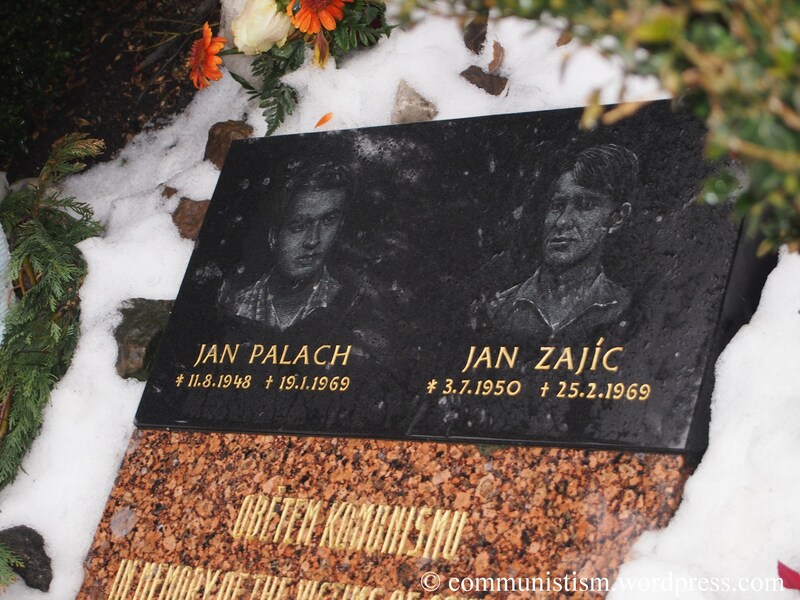 An anonymous body replaced his at the grave site, reassuring the communist party that they had deprived the Czech and Slovak people of a martyr. It is not until October of 1990 when the cremated remains were returned to their rightful resting place. Actions such as this were seen as normal for the StB, as it was very important for them to keep the communist agenda. 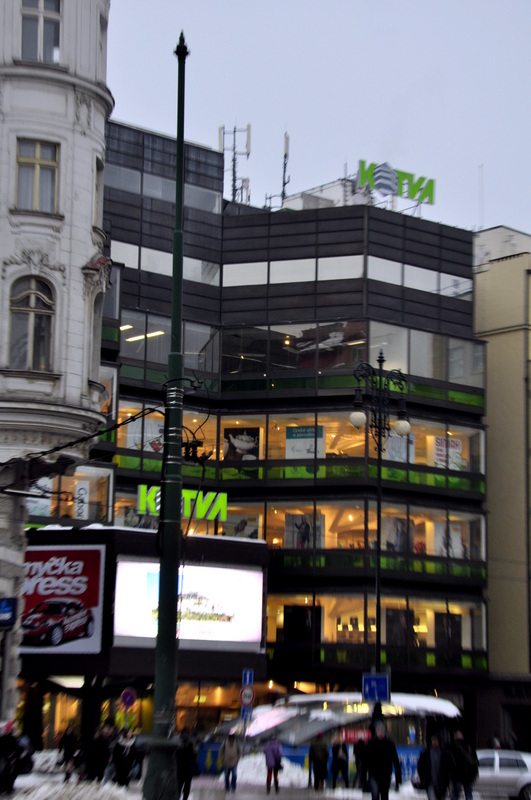 Though the StB was dismantled and dissolved in 1990, their headquarters still remains in Prague. It is currently being used as the police headquarters. Some members of the public that we spoke with felt that this was not a coincidence as some members of the StB still held powerful positions in companies, businesses and even the police force. This is not meant to be the case, as with its dissolving in 1990 former members of the StB and associates were banned from specific and powerful roles such as that of a police office, government official etc. Support for the opinion that this rule has not been adhered to exists in a lot of sources some of which can be seen at the bottom of this post, showing that perhaps the StB still has former members in powerful positions. “The communist architecture has many negative connotations, of course. The architecture […] of those townships or settlements built in 1960s, 1970s, are of course not taken as the good address. In the same time, the townships din not change islams, anything like that. They are normally inhabited by the new generations, but usually are the old generations of people. Many of those buildings were renovated, in the last 2 decades, many of them were given façades for example, so sometimes you would not recognise that they are from the time of the communist regime. So, I think normal people do not take these houses as good addresses, good architecture, as a good place to live. But they are cheap, they are a form outside of the historical cities, so in this aspect is not completely a bad place to live and they are sometimes defended as urban textures by historians of architecture who are interpreting these buildings as a part of our heritages. Dr. Michal Pullman also shared with us some of his opinions regarding the crimes of communism in Czechoslovakia. this is a problem of those politicians […] who want to keep the one-sided view of communism as a pure repression that did not allow their citizens to live good lives at all… the repression was quite deep especially at the end of the 40s and beginning of the 50s with short trials especially collectivisation. This was quite violent not only in Czechoslovakia; collectivisation was a nightmare for many people at the same time; this kind of violence was exerted in Czechoslovakia and it […]was different from the Soviet one and from other countries because many people and part of Society as I mentioned already expected somehow the very promise of Stalinist order and there were many volunteers who did this kind of violence by collectivising. 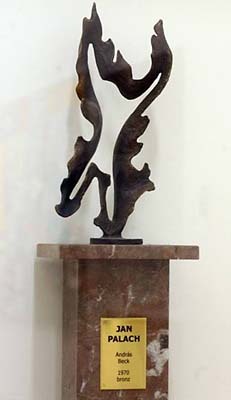 These believing communists, […] this continuity is quite typical for Czechoslovakia… the people who participated in the Stalinist project and were very active in exerting violence voluntarily, when they were seeing the disastrous consequences of their actions… they began to change their mind somehow. Back to your question… it is strongly linked to what we were talking about at the very beginning, communism in Czechoslovakia especially in the Czech land, Slovakia is different, communism had as an idea, as an ideological goal that had to be realised… had strong support of the Czech population (of course, not of the whole population) we have to reconstruct the attitude of various social groups… of course the peasants whom the fields were taken, these were not happy, but other peasants who could have worked in the centralised agricultural etc would have been happy, but great part of the urban population supported the Stalinist model and afterwards some kind of reform, socialism etc. Then 70s and 80s were completely different in this respect cause the political elite that represented the post 1968 regime knew that these attempts to activise society are disastrous precisely the new model of communism. The Stalinist were proud to be violent. The issue of radical violence is completely away because the normalisers knew it is much better to hide the violence from the normal citizens, in prisons, schools, hospitals. It was very successful model for Czechoslovakia even though the people rejected afterwards because the regime was not able to keep its own promise of non-violence of the quiet life, with the violence of the 2nd half of the 80’s. So the issue of violence is extremely important in Czechoslovakia and an issue that is not opened completely because the very master narrative is built on what you have mentioned, by killing people, by imprisoning them in concentration or work camps and this is something that works for Czechoslovakia but works predominantly for the beginning of the 50s but does not work for Prague Spring and for the 2nd half of the 60s, 70s or 80s where the violence was deliberately minimised by the state, was exerted on the groups that were condemned or stigmatized within the society… I have in mind the forced sterilisation of the Romanian women which was very typical violence practice of the 70s but was highly approved because the people did not resist it and majority of people did not think it was abnormal. The techniques of power in the 70s and 80s was much more clever and they knew that over exerting much can be counterproductive and this is a problem of the Czech and communists today cause they cannot find too much violence and it is impossible to find some kind of violence resistance in the Czech case. “[…] there were huge differences in regions… as you see Prague was not destructed, it was neglected very strongly so the houses were in very bad condition and predominantly, […] the new apartments which were built on the very outskirts of the city centre. 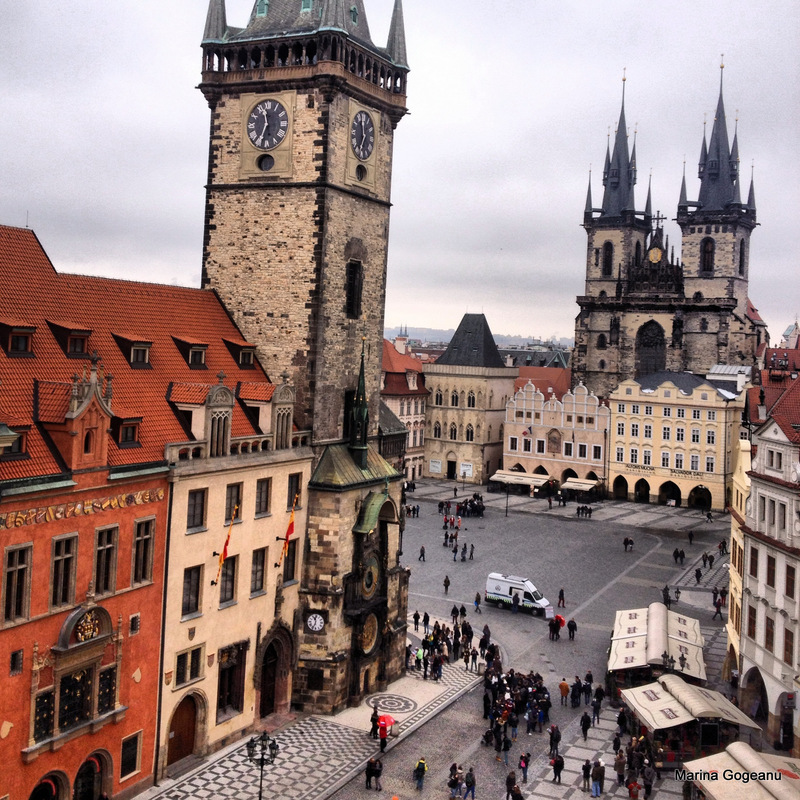 The Czech architects, especially Prague architects, wanted to keep Prague as the special city. This practise that you’re talking about (the destruction of national heritage) was perhaps even more typical in Romania… we can find that in Czechoslovakia, but it was not the regular procedure because even the communists were somehow… even the political representation did have in Czechoslovakia some kind of national heritage… I mentioned already that communism in Czechoslovakia was very often perceived as a kind of nation communism, so they had some kind of national heritage… I mean the Ceausescu palace(in Romania) […] was not erected cause something valuable would be destroyed and something not very nice from our perspective would be erected… […] Czechoslovakia was much more not divided, there were various approaches, it was not unified and there was much destruction but not as much as Romania. Excellent examples would be city of Moos that was destroyed completely because of the coal and it was a historical town also it is typical for Czechoslovakia 1974, the main church was saved and moved to about 2km, it was an unbelievable technicality at that time… but this was very typical for Czechoslovakia… if they destroyed something they compensated, they saved the main church and this is also the example German town of Moos is completely destroyed and the new Moos is Built of the panels. […] these approaches were different in Czechoslovakia for instance concerning the moss of the new city which was 5km away at the time was not perceived as a consequence of destruction but as an improvement of the quality of life as the new apartments were better than the old ones and of course they saw predominantly the ideology that as far as I know there was no internal protest there was from the side of the intellectuals in Prague but no specific protests against this. How did the communist regime change the landscape of Prague? During the interview we took him, Pavel Kalina (professor of history architecture in the school of Architecture in Prague) explained to us how the communist regime changed the landscape of Prague. 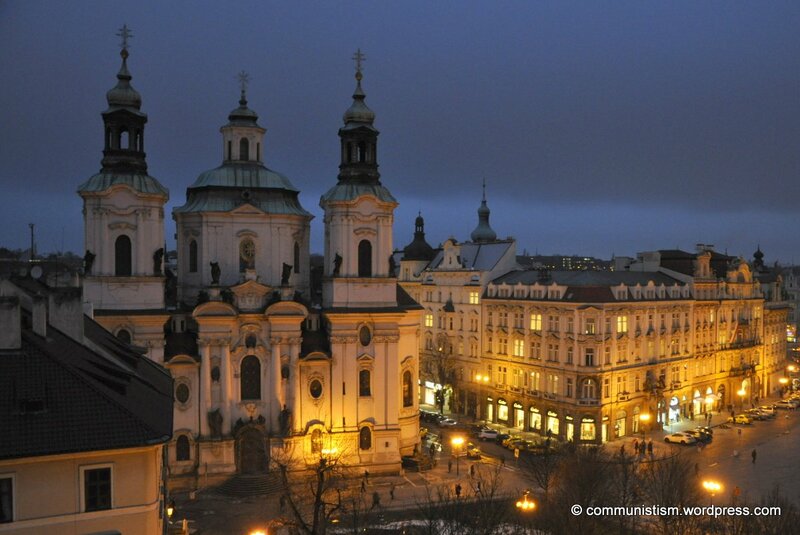 “The communist regime in Prague did not change so much the character of the historical city. The communist regime in Prague, in the Former Czechoslovakia was slightly conservative in many issues, including various aspects of architecture. It means no large destructions or important changes were made in the historical centre of Prague (and it was very similar in other historical cities in Czechoslovakia). The main problem was rather the negligence or raw investments in historical buildings… because many of them ended in bad technical condition. But what was the real problem and what is even today a problem of Czech towns, it is more what happened around the historical centres, not exactly in the city centres. It means in the time of the communist regime, of course, just like in Western Europe people needed housing, people needed jobs, especially the young families and the regime was not able to supply housing possibilities for large segments of population. There was no market there, there was no market for these housing, these buildings, these flats; everything was seen…the distribution of housing was completely in the hands of the state, so it was no ideal situation. And, as a result, they constructed large settlements, large townships around the historical city centres. There were many problems: the housing standards were generally low, or sometimes there were problems with transportations, there were always problems… or the cultural life of those not living in the historical towns…but in fact, I would say never, maybe with some exceptions, the regime didn’t care about the existential problems with supplying people with the most important items or transportations. Anything like this. It would be very exaggerated[…]. It was a political organisation, which of course caused some problems, especially with housing. I would never say that everything was bad, everything was completely bad or that it was impossible to live in the country… anything like that. It’s estimated that throughout the world there have been more than a hundred million of victims of communism, so we’ve asked Dr. Oldrich Tuma about the crimes of communism and how they were dispersed. “Historians already speak about the Olympiads of victims in different countries, trying to get their country not to have more victims than the other countries. […] hundred of millions of victims […] 95% are in Soviet Union or China, perhaps Cambodia These countries participation was really very different from Eastern Europe. 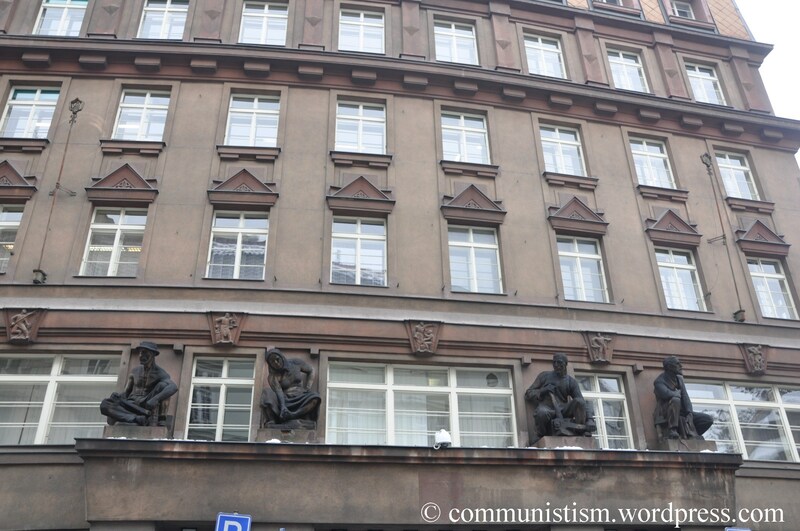 Even in Czechoslovakia it’s hard to say (how many victims of the communist regime were)…. we know exactly something like 250 people got sentenced to get executed for political reasons… it’s not such a great number. Definitely in some cases there was a mixture of different details…sometimes criminality was involved and so on. 500 or 700 people were shot on borders but many were East Germans or Poles who tried to escape through Czechoslovakia. So that led to lots of incidents on the Czechoslovakian borders; they were definitely crimes of the Czechoslovakian communist regime but the victims weren’t always Czech or Slovaks. Perhaps a few 1000 people died in prisons especially in 50’s, there were tens of thousands of people in prison at the same time and the conditions were not nice especially in the uranium mines; and many people died there or after they were released from there because of the diseases they got. “[…] it was a very different situation between the official historiography and the mass media. 56 or 68 were portrayed in Czechoslovakia when speaking about Hungary and vice versa, simply as attempts of counter revolution inspired by imperialists; very negative portrayal of that… no wonder because it was something which was against the establishment, against the ruling party. In the west I think there was a lot of understanding… I think for both 56 and 68 in the moment… there was a lot of interest in the pages of the newspapers November 56 or spring 68 , August 68… Hungary, Czechoslovakia were both on the front pages and made head titles and so on… but this interest disappeared quickly as it happens today with other cases.